Last year when my Blackberry Curve fatally locked up on me while on the road, I went to a Verizon Store in Albuquerque and tried to get it fixed. The store was unable to fix it without sending it out for a few days. I decided that I would use my upgrade and get a new phone while I was there. 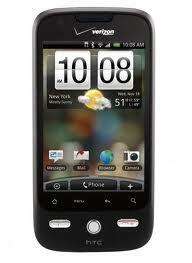 I decided on an HTC Droid Eris. Verizon had just come out with the Original Droid and the Eris was a smaller lighter phone that didn't have the signature "I'm a phone from the future and I'm here to kill you" feel. So I decided to give up the physical keyboard of my blackberry and jump in to the uncharted Android world. It's been almost a year now and Verizon has since killed off my phone after 1 software update. Here are my impressions of living with this device day in and day out. lack of physical keyboard for me, was trying at times. Android marketplace blew up this year. TONS of apps. Soooooo, after finally getting fed up and very inpatient for either my upgrade or the iPhone to appear, I decided to give Palm a try again. I used to carry a Palm Treo. Which was a decent but creaky phone due to lack of support. Palm kind of let the OS languish. When they came out with the Palm Pre I was intrigued. The slide out keyboard is cramped but workable. Good, Bad and not great. did I mention not great battery life? The Palm App store does not have the depth or breadth of either the Android Market or the iPhone App Store. Build quality on the phone is suspect, it creaks and feels cheap, like it will break easily if you don't treat it like a raw egg. So I'm living with a phone I now like a little better. Hopefully Palm will continue to update their software and come out with new better built devices. HP bought Palm about a year ago so hopefully the money and ideas will flow and this underdog will get a bigger place at the table.